The stowaway had been caught before but was successful at the San Jose airport. SAN FRANCISCO — The woman who flew from San Jose to Los Angeles without a boarding pass was a homeless loner who was briefly ordered into mental treatment earlier this year because of her past attempts to sneak aboard flights, officials said. Marilyn Jean Hartman — who tried to sneak aboard flights at least a half-dozen times in the past — made at least three attempts on Monday before she finally went past a screener who was busy checking a family’s documents at Mineta San Jose International Airport, according to law enforcement officials, who would speak only on condition of anonymity because the security breach is being investigated. Hartman, 62, then went through the electronic screening process before entering an airport terminal. Authorities said she made it through screening because she had no prohibited items on her or in her purse. On Wednesday, Hartman was ordered to 24 months’ probation after she pleaded no contest to willfully and unlawfully entering the city as a stowaway on an aircraft, a misdemeanor. Hartman also was ordered to stay away from Los Angeles International Airport unless she has a ticket to board a flight. She smiled as she left court and told reporters she regretted what she did, and vowed never to board a plane without a ticket. “It was stupid, and it is something that I don’t want to repeat,” Hartman said. Her attorney, Elsie Wanton of San Francisco, could not be immediately reached for comment Wednesday. Her breach of security caused federal officials and the airline to launch investigations in exactly how it happened. It also prompted criticism of San Jose’s airport in light of the trespassing of a teenage boy who stowed away in the wheel well of a Hawaiian Airlines flight and survived the arduous journey to Maui. The San Jose Mercury News reported that Hartman is a loner who has lived in shelters and motels up and down the West Coast for a decade and has been homeless since February. San Mateo County District Attorney Steve Wagstaffe said Wednesday that Hartman has no family and was never married. In February, Hartman was sentenced to 18 months’ probation in San Mateo County after being arrested for attempting to board three Hawaii-bound flights at the San Francisco International Airport on three separate days. On her first arrest, she made it through security and onto a plane only to be caught when the actual ticket holder showed up, officials said. On her second and third attempts, she was caught trying to get through the security line. Hartman was arrested three more times over the next two months at the San Francisco airport, San Mateo County Sheriff’s Deputy Rebecca Rosenblatt said. Each time, Hartman indicated she wanted to go to Hawaii, but she never had a ticket. She previously said she wanted to fly somewhere warm because she had cancer, but her claims about having the disease were unsubstantiated, Wagstaffe said. Records indicate Hartman was arrested Nov. 6, 2010, at the Lihue Airport in Kauai after trespassing into the baggage claim area, the San Francisco Chronicle reported. She was charged with simple trespass, but failed to show up for court hearings — and remains the subject of a bench warrant. In May, Hartman was placed in a mental treatment program but she stopped attending last month. 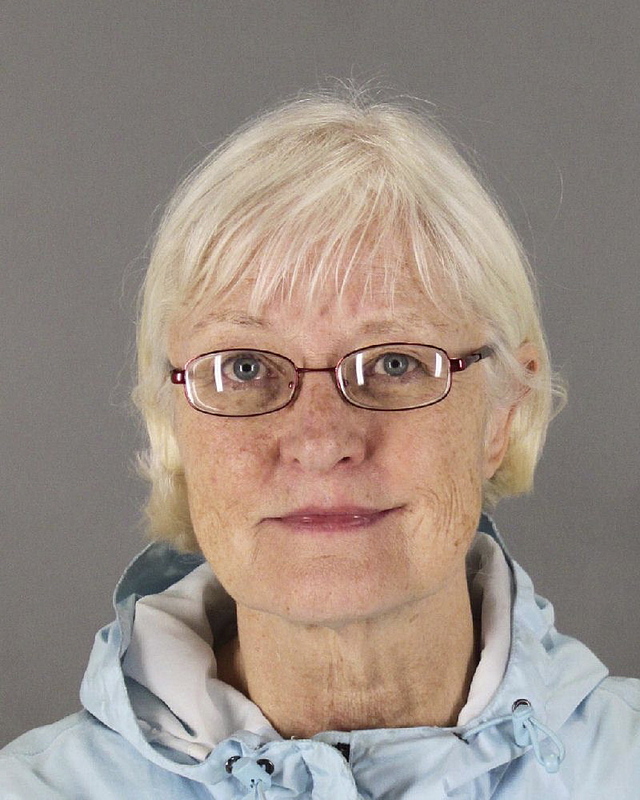 Then she went back to the San Francisco airport, but Wagstaffe’s office declined to file charges after her seventh arrest in July for another failed attempt. San Jose airport spokeswoman Rosemary Barnes said the airport is assisting the airline and the Transportation Security Administration in separate investigations. She stressed that public safety was not compromised. TSA spokesman Ross Feinstein said the agency already has made some changes to the document-checking process at the San Jose airport.